PriceRunner is a leading shopping comparison site with a mission to make shopping easier by finding the best deals for their users. This blogpost takes a look at the company, what they do and how you can start selling your products on PriceRunner with ease. 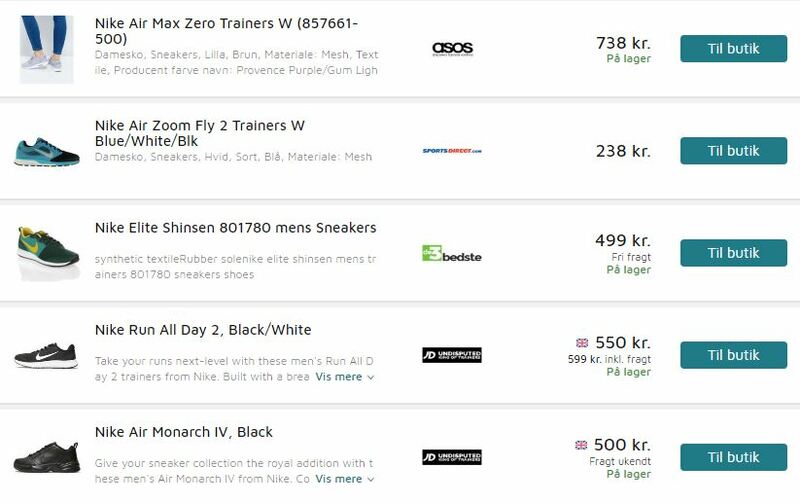 PriceRunner are the number one price comparison site in the Sweden, Denmark, UK and a leading player in France, Germany and Austria. They reach millions of shoppers across Europe through cross-border commerce. Since their foundation in 1999, they have built a strong customer base through an efficient service, with their stated goal to create a complete and frictionless shopping environment. They give users functions that other price-comparison channels don't offer like price histories, price alerts, detailed product information and reviews. This year looks to be another exciting year for PriceRunner, seeing them put more work than ever into improving their customers’ shopping and user experience. PriceRunner are known for creating high-quality traffic that converts well. Listings are paid for on a CPC basis, with a fixed rate for some categories like electronics and appliances and with a bidding model for other categories like toys and clothing. A clean, simple user interface with a search field as well as some categories to help you with your search are the main features at PriceRunner's homepage. By choosing PriceRunner as a channel to export your product data feeds to you can receive support from their staff who work with e-commerce retailers to optimise their activity and drive the best possible ROI. Text format: The file has to be in text format, generally xml, txt, csv, html, php or asp. Keep the feed URL and name unchanged. Don’t include dates of updates or any other information in the URL. The data you provide should be updated the current prices. The products you list must all be in new condition, as they don’t accept refurbished, damaged or secondhand items. As you can see from the list above, there are a considerable number of requirements for selling on PriceRunner, which can be a headache if you are setting up, optimizing and regularly maintaining and managing your product data yourself. That's why WakeupData has help multiple clients get their feeds easily connected with PriceRunner and selling with ease. From our platform, WakeupData NEO, you can import your product feeds in a number of different formats, efficiently and effectively optimize any aspect of the data and then use our pre-built template to export a perfect feed directly to PriceRunner which can be regularly updated. It couldn't be simpler. PriceRunner gives you access to millions of monthly active shoppers and hundreds of partner websites. Use WakeupData and you can become a strong player in this massive network while maximising your sales figures. Check out our case stories to read how other clients have used our solutions to create long-term benefits. WakeupData is a PriceRunner partner. Don't spend thousands on coding, unacceptable formats and product feeds with wrong PriceRunner categories. Get onboard with WakeupData and enjoy accurate, tailor-made, up-to-date, high-end, in short… an awesome PriceRunner feed - check out our free e-book to get started.